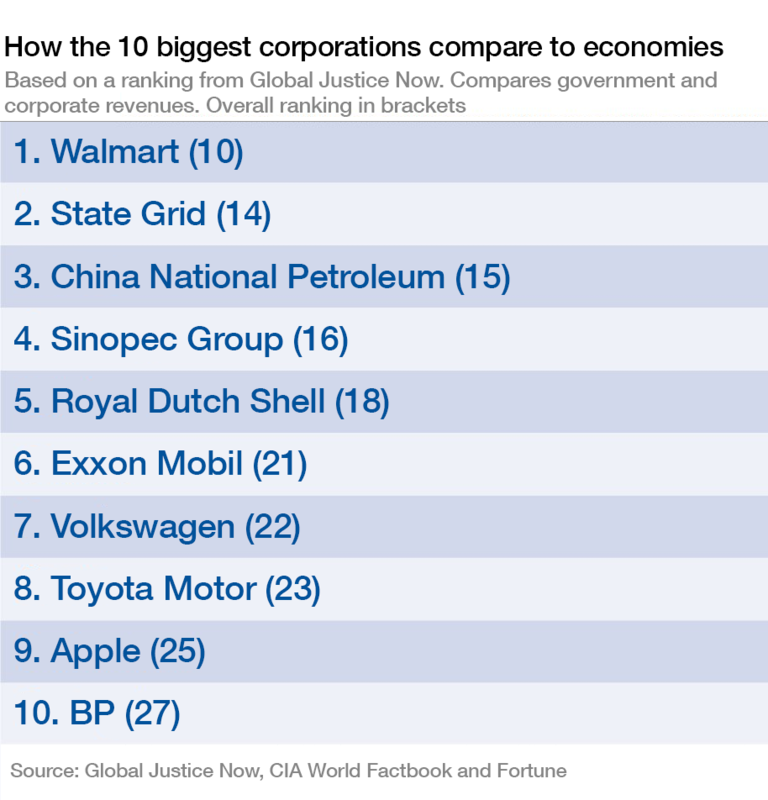 Scooper - Technology News: How do the world's biggest companies compare to the biggest economies? The USA tops the list, which takes government revenue from the CIA World Factbook . 2015 estimates place US government revenue at $3.3 trillion. China takes second place, with Germany in third. 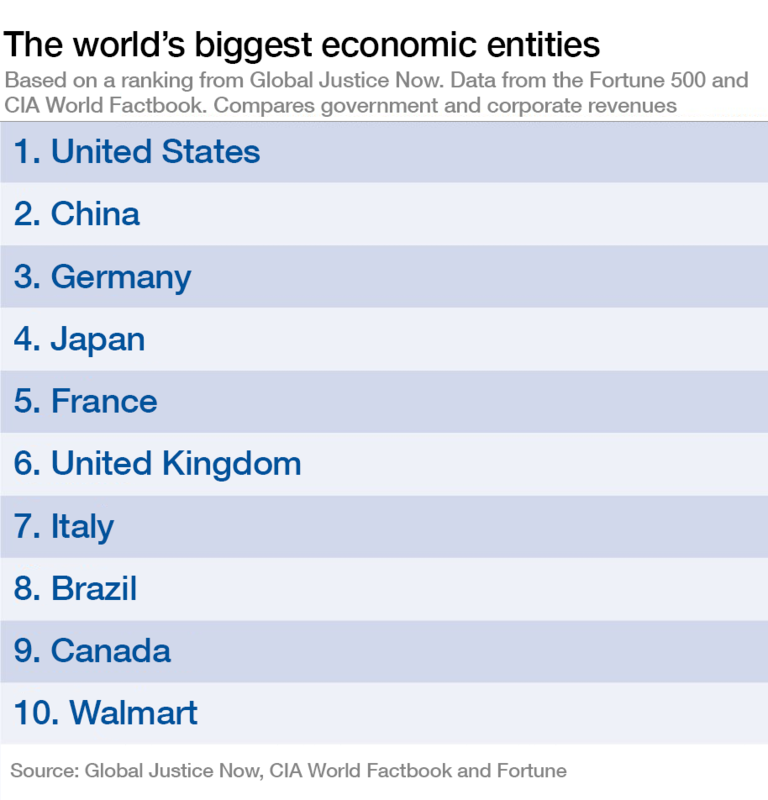 The top 10 is dominated by countries, with only Walmart breaking the monopoly. 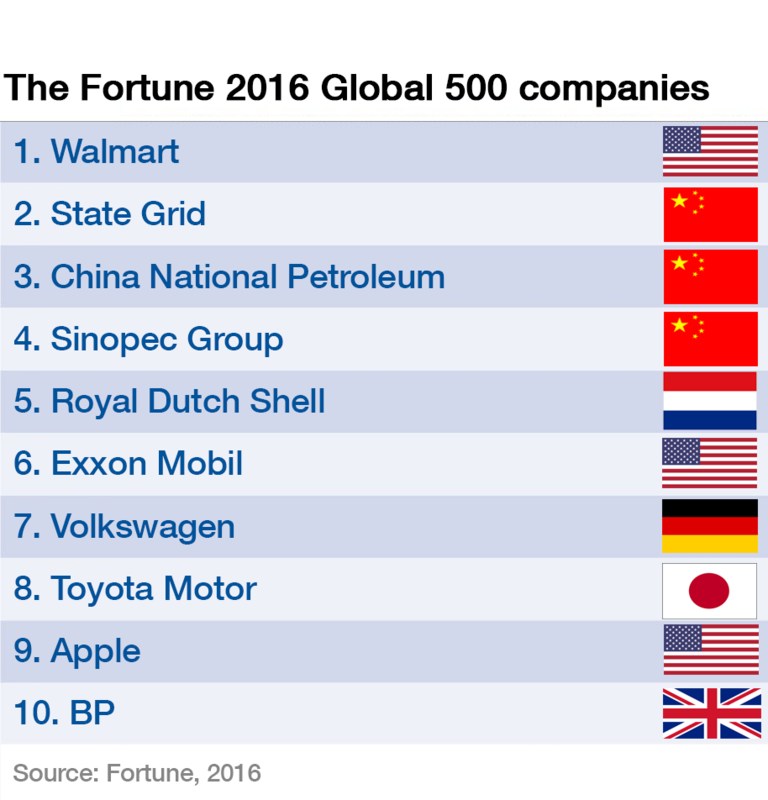 The US-based retail giant has revenues of over $480 billion according to the Fortune 500 .